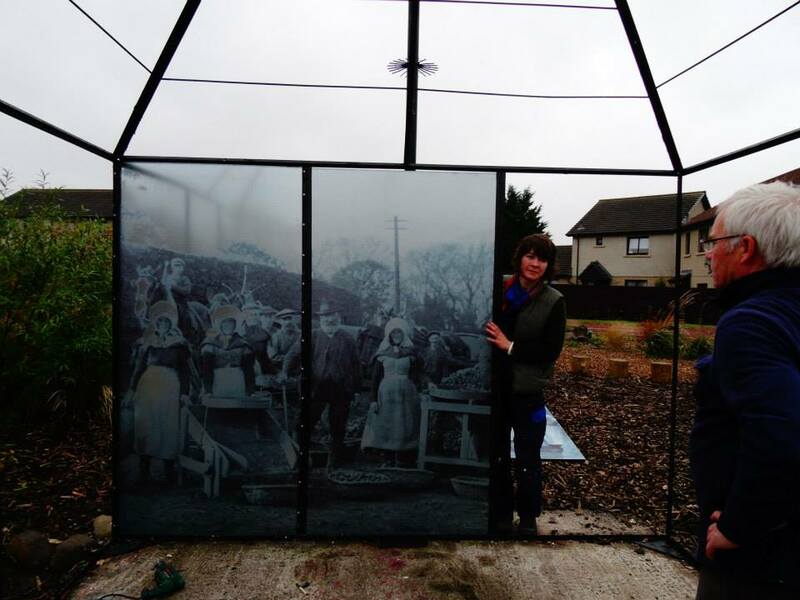 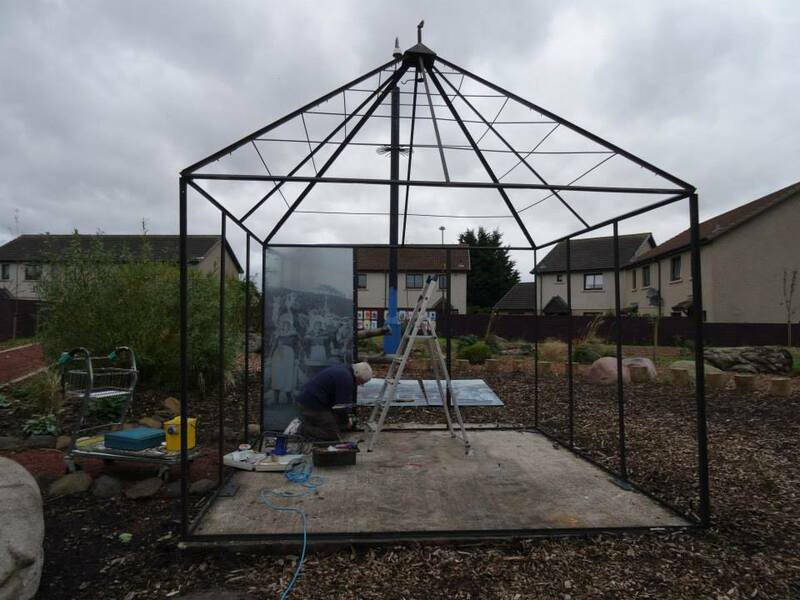 North Edinburgh Grows artist Natalie Taylor is making visual links with our garden and the use of the same land 100 years ago, using the frame of the greenhouse that was sadly damaged in the summer to make a social history sitootery (a place to sit). 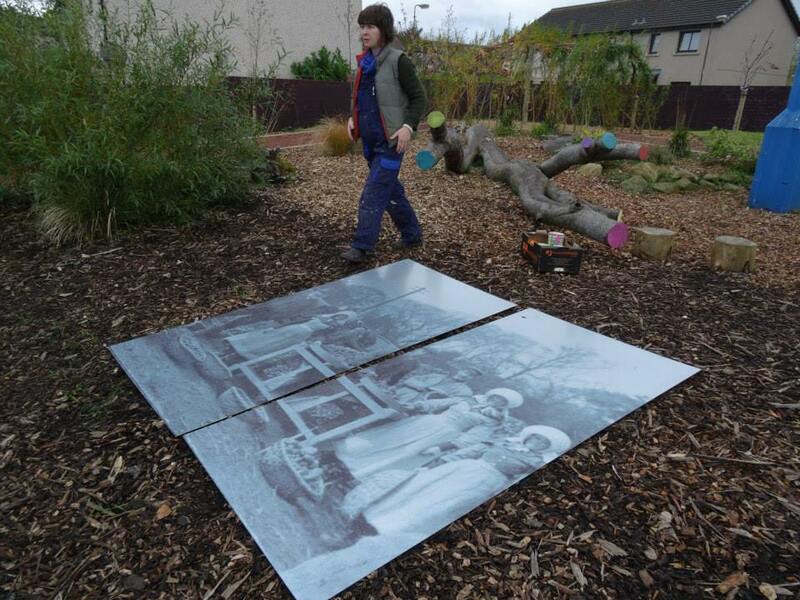 Stories from locals who grew up in North Edinburgh of their childhood games playing in the fields, rivers and landscape and of the current generation’s playing will be printed onto six more panels going up soon. 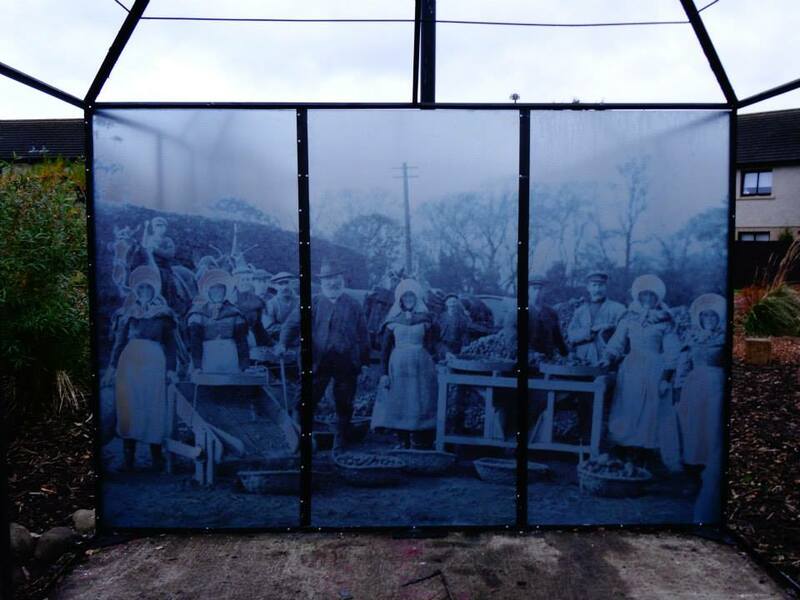 The photo on the first side was chosen along with Social History Group from Royston Wardieburn and by speaking to locals in Muirhouse, and is of West Pilton potato farmers, circa. 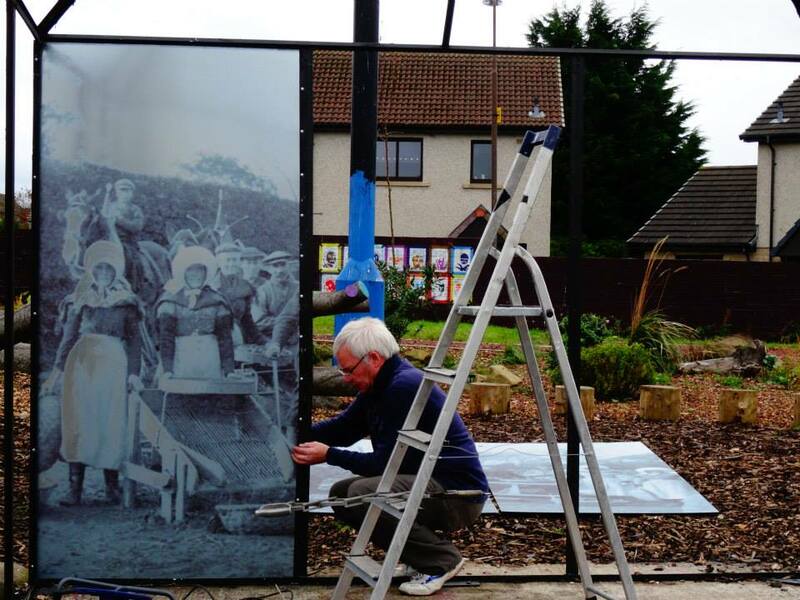 19.12-19.14.